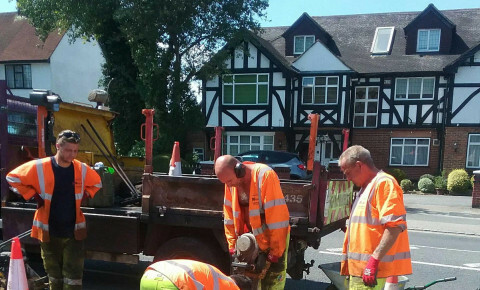 Busy Bees at Croydon, Haling Park - The day the Highway Maintenance came to visit! 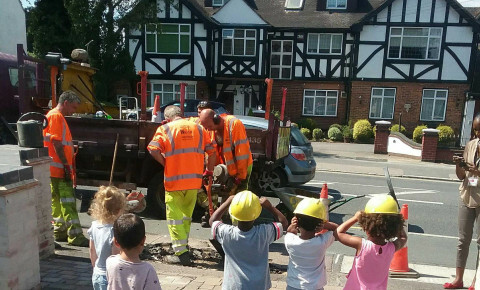 The day the Highway Maintenance came to visit! On Friday the highway maintenance men came to visit us to first the broken pavement in front of our nursery! 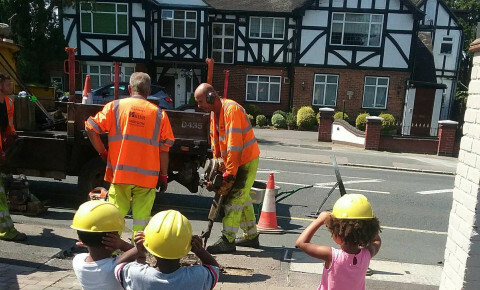 We had the best time going out and watching the men dig up the pavement and fix it! We listened to the loud noises the machines was making and saw all the builders in bright orange clothes. 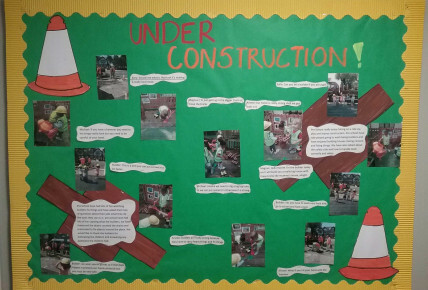 We then created our own construction board with children's voice and pictures of all of our adventures.